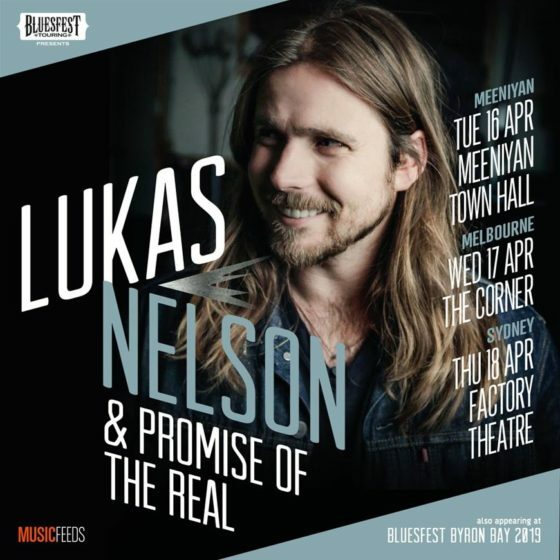 With special guest Louis Baker. 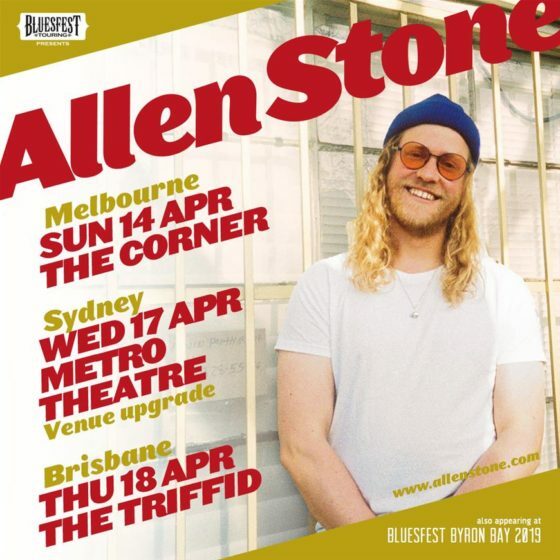 Just one week after getting married to his ‘Brown Eyed Lover’ and a hugely successful sold-out show in Melbourne; Allen Stone announces he will be spreading the love to dates in Sydney, Melbourne and Brisbane this April! 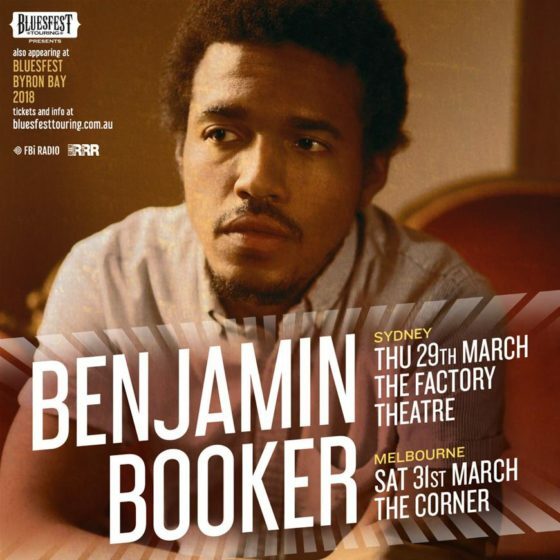 With special guests Roshani supporting in Sydney and Grim Fawkner supporting in Melbourne. 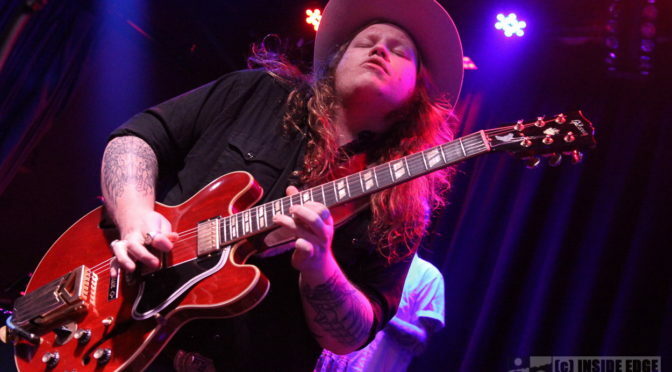 South Carolina Blues Rockers, The Marcus King Band are making their Australian debut this April with dates confirmed in Sydney and Melbourne ahead of their Byron Bay Bluesfest performance this Easter. 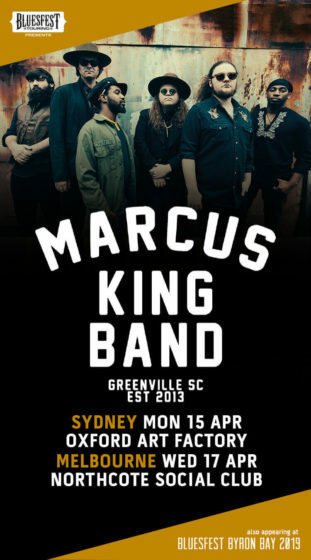 With special guests Eagle & The Wolf supporting in Sydney and Archer supporting in Melbourne. 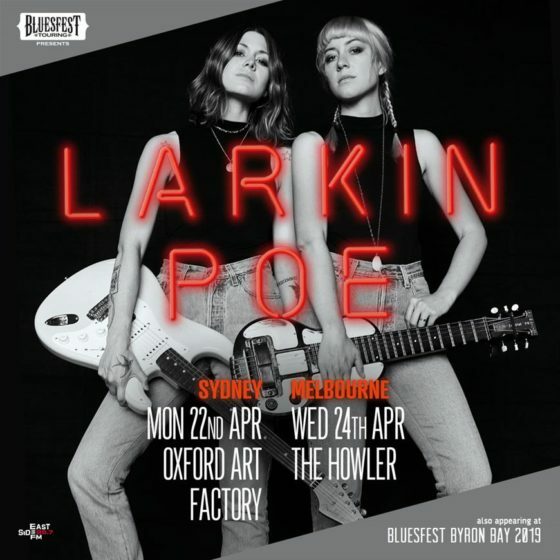 Bluesfest Touring is proud to present Larkin Poe, the American Blues-Rock band who will be performing their gritty, soulful, southern heritage in Melbourne and Sydney this April. 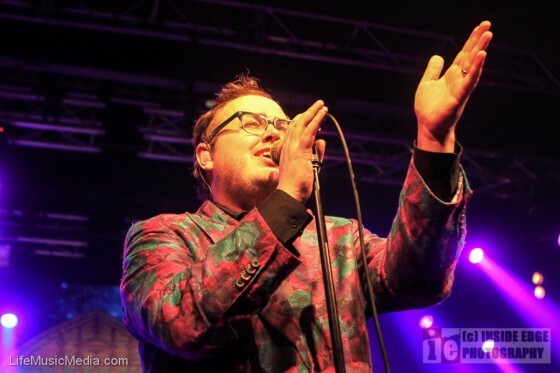 Originally from Atlanta, the now Nashville based sister duo are poised to make a mark all their own with the release of their fourth album ‘Venom & Faith’ which is out this November 9, 2018. 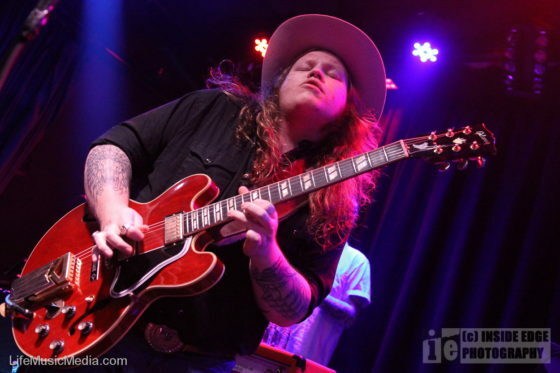 According to Rebecca Lovell “It’s a celebration of American roots music as translated by two sisters who are playing the blues in a modern age”. 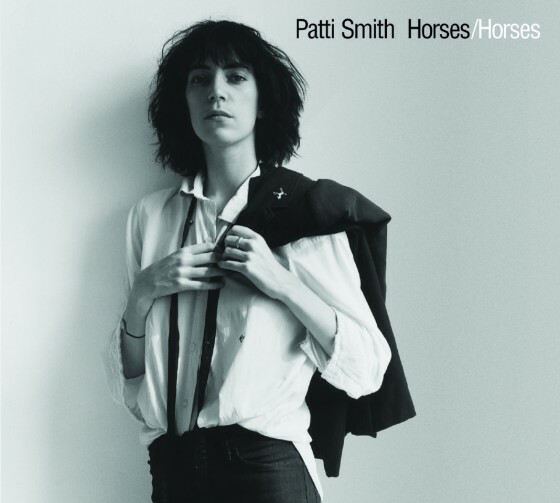 Patti Smith and her Band perform Horses – NEW SHOW ADDED! 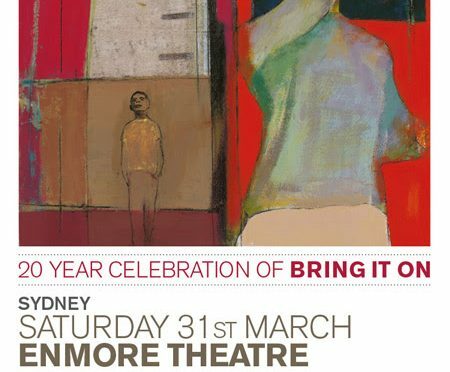 Patti Smith fans are in luck, she and her band will perform Horses for a third night at The State Theatre in Sydney. 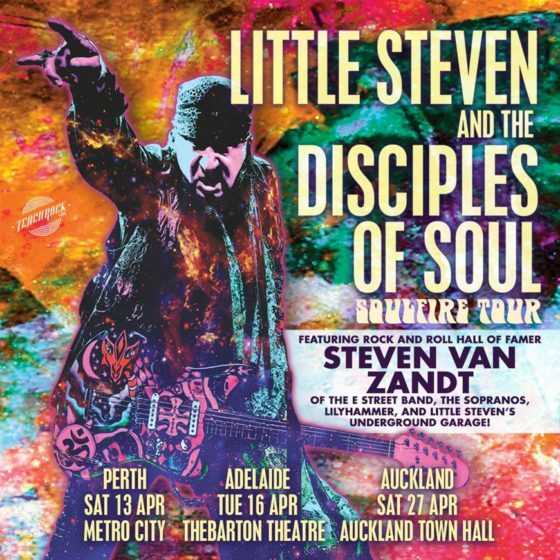 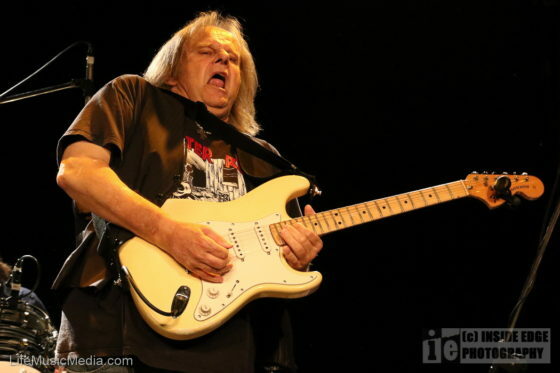 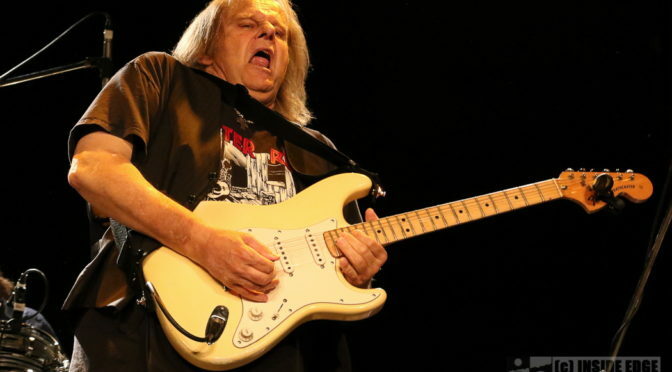 Bluesfest Touring has added the show to keep up with the incredible demand. 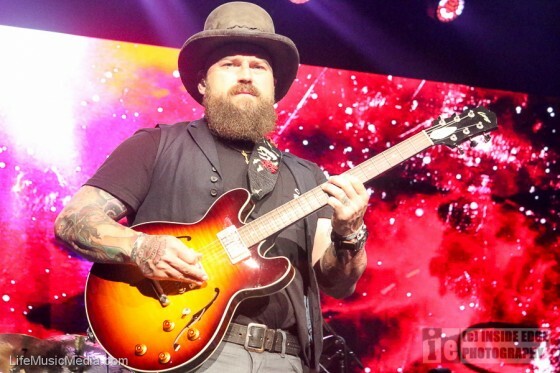 The entire tour is tracking to sell out before the end of the year, so if fans haven’t had the chance yet now is the time to get tickets. 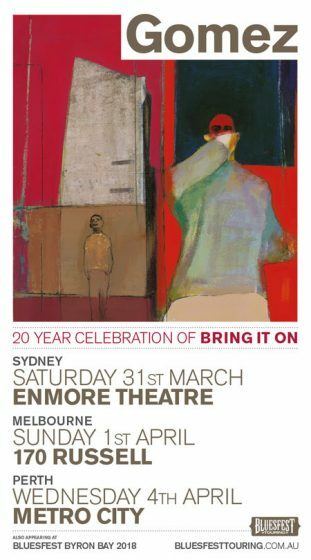 Pre sale begins at 10am Friday 18 November, general on sale starts on Tuesday 22 November. 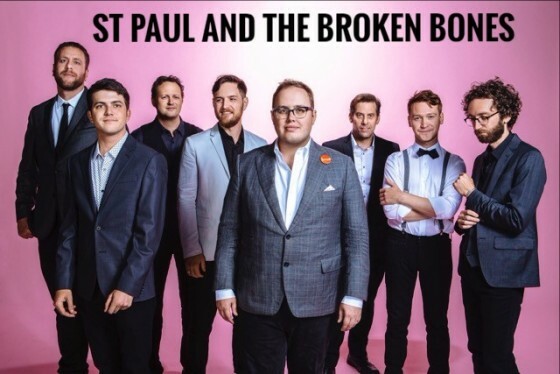 St Paul and the Broken Bones – Bluesfest 2017 Sideshows Announced! 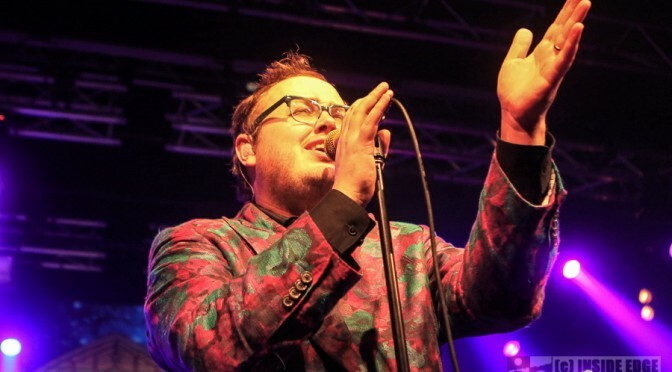 Their 2016 festival sets have become the stuff of legend so Bluesfest is ecstatic to have Alabama sextet St Paul & The Broken Bones rocking Brisbane, Sydney and Melbourne in 2017! 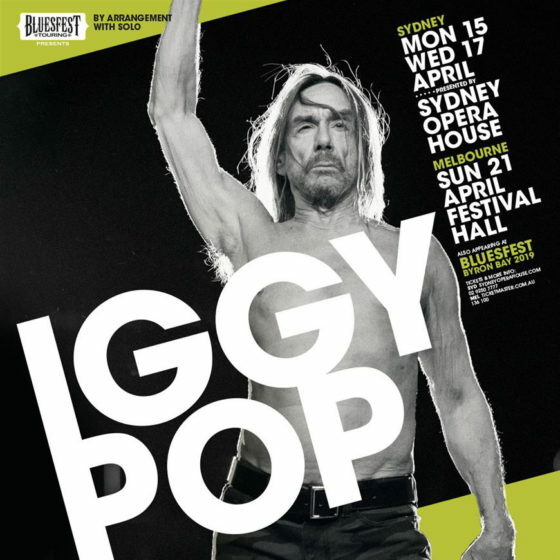 Trombone Shorty & Orleans Avenue – Bluesfest 2017 Sideshows Announced! 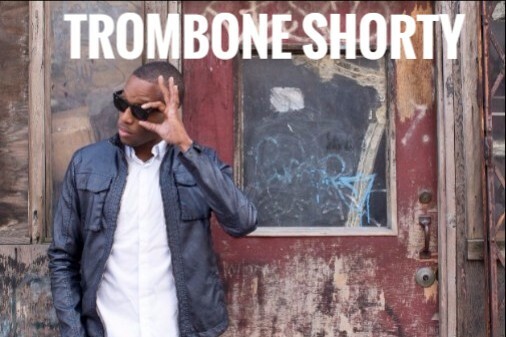 Bluesfest favourite Trombone Shorty is bringing his energetic fusion of funk/rock/jazz/hip-hop to back to Australia. 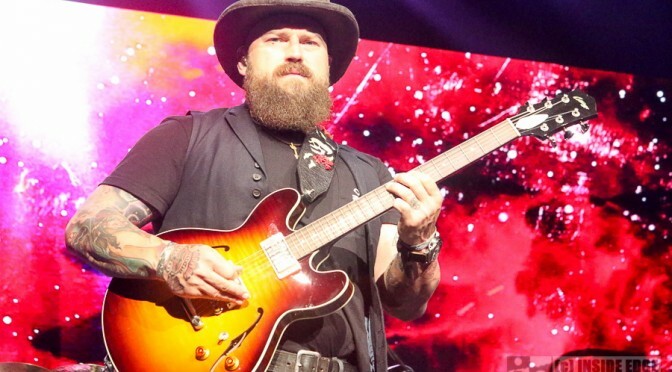 The New Orleans native began his career as a bandleader at the young age of six, toured internationally at age 12, and spent his teens playing with various brass bands throughout New Orleans and touring worldwide with Lenny Kravitz.